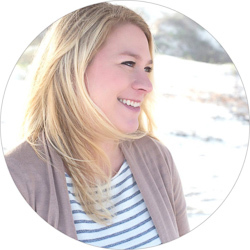 I gushed about some of my dream home must-haves back in July and one of those items was planked walls. My dream is to someday have them throughout our entire house but having them anywhere at all would make me super happy. I’ve gotten really impatient lately though, partly because I love planked walls so freakin’ much and partly because it’s been a few months since my last decent DIY project. Sooo, I now have decided that I want to do a planked feature wall in our newly painted guest bedroom. 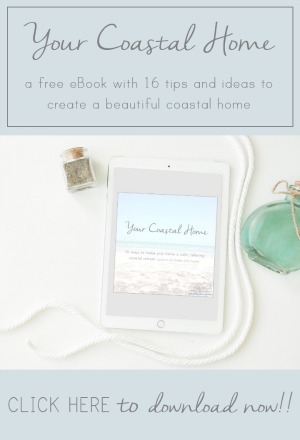 I’m not sure when I’ll be able to start on it quite yet so in the meantime, I am gathering a ton of ideas around Houzz, the blogosphere, and on Pinterest, and wanted to share some of my favorites with you. First, here is our guest room again. My only slight question marks are 1) the difference there will be in the shades of white between the plank wall (will be a white white) and headboard (an antique/creamy white) and 2) how there is vertical paneling on the headboard already. 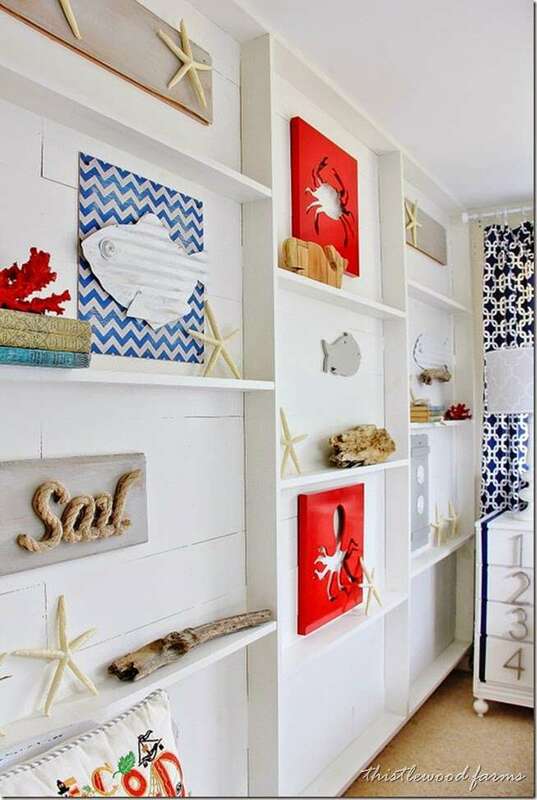 Aside from those concerns, I think a planked wall would really brighten up the space even more and bring in that nautical/farmhouse/coastal vibe we love so much. So here are some of the planked walls I’m crazy about. Ok, on Monday I talked about how I dream of designing a nursery for no reason at all. This one from Cape 27 is my all-time favorite hands-down. And planked walls to boot? Yes please! 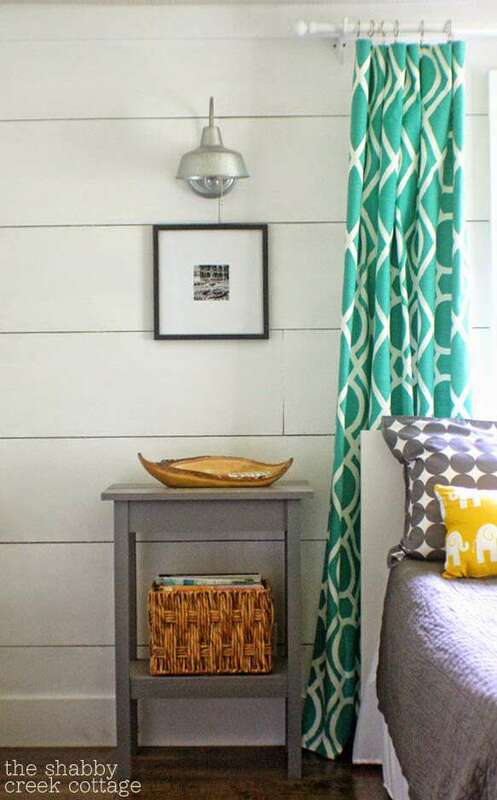 This tutorial from House of Smiths is the one that started my DIY plank wall plan. And I will likely use it for ours, just with wider planks. 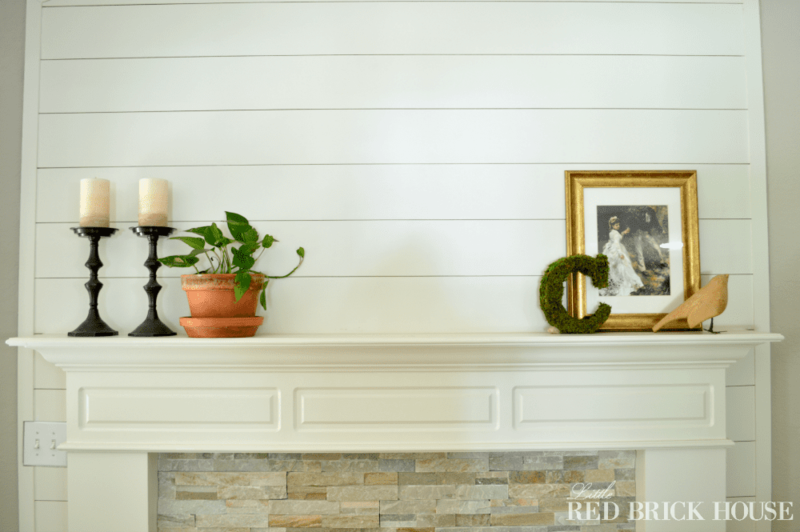 I love how Sarah trimmed her planked fireplace wall with lattice strips instead of a rounded trim piece. Lord knows I’ll need to cover up some edges and I like the simplicity of the flat strips so will do this with ours as well. Okay, I am a HUGE Magnolia Homes fan and their farmhouse kills me. They have my dream of having shiplap throughout their house and it is gorgeous. I like the uneveness and rustic-ness of theirs, how you can see the holes and imperfections. Perfect. I’ll actually take their whole house please. Waco’s only five or so hours from here, I can commute. 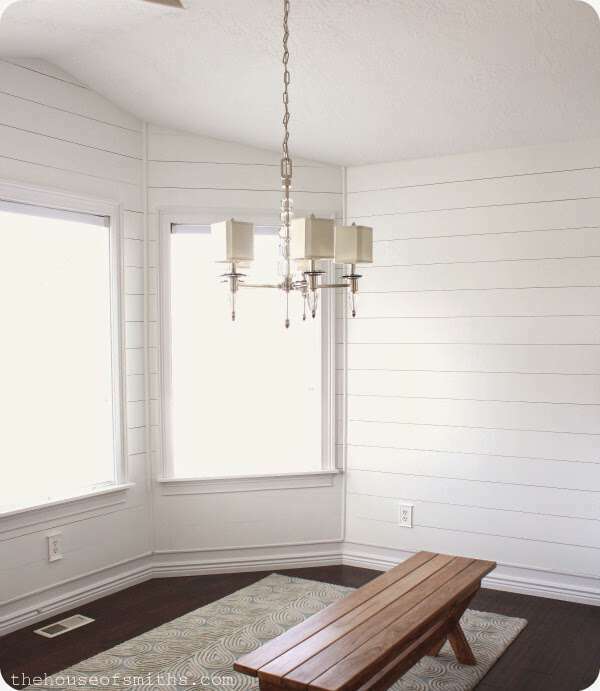 This plank wall from Thistlewood Farms is pure genius to me and although it may not work in our room (ooo, unless I do shelves around the bed….hmmm) I am saving this idea for as soon as we live somewhere I can do it, like, it’ll be the first thing I DIY. I have a ton of beach treasures/trash/weird vintage things that I can put on shelves like this. Or how cute would this be in a kids room for them to put their toy cars and stuff on? We already know Mandi is a DIY god and the fact that she planked her wall diagonally shows why. I haven’t decided if this look will work in our room or not but again, it’s one I want to do somewhere someday. 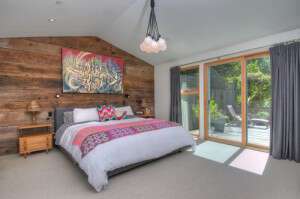 Another option is to do the wall in rustic wood which would take care of my furniture-blending-into-the-wall concern, although it may read too rustic and cabin-y for my taste. 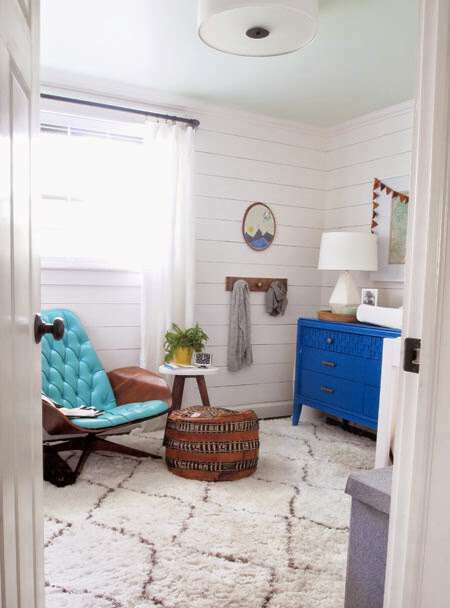 Plus, it may blend in with our driftwood laminate floors. I liked this room because it shows the planking on just one wall like ours would be and the bed is white too. And if I can figure out how to move the lighting to the walls like this is, I’m doing it. I LOVE the barn/nautical lights (ha, they’re in the first pic too!). Anyone have a tutorial for doing that? Man I love planked walls! I am really excited to do this but what do you guys think? Are the two different whites no big deal? What about the paneling on the furniture vs. a paneled wall? Am I being to OCD? Any general plank wall installation tips?? Emily!! We are in the same boat again girl! I am such a fan of planked walls!! I have also been trying to think of where I can incorporate it into our home. Hallway? 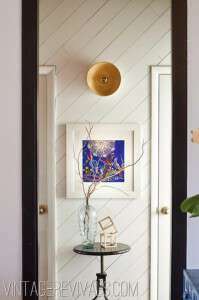 Also, side plug: I will be posting a Dreamy Local Listing on Sunday that you are going to LOVE! Planked walls galore! I love them in a hallway! I would totally do it there if we had a real one. Do it so I can live vicariously through you. And I’ll check it that out on Sunday ‘fo ‘sho (and get really jealous!). Thanks Jessi! I am hoping to start it by the end of this month, I get so impatient once I’ve decided to do a project ;) I’ll keep an eye out for yours and good luck! We are doing a complete tear down / rebuild of our garage. It was a small 2 car and hardly had enough room for 1. We are currently building a 4 car garage and adding an upstairs which will be a full guest room and walk in storage. 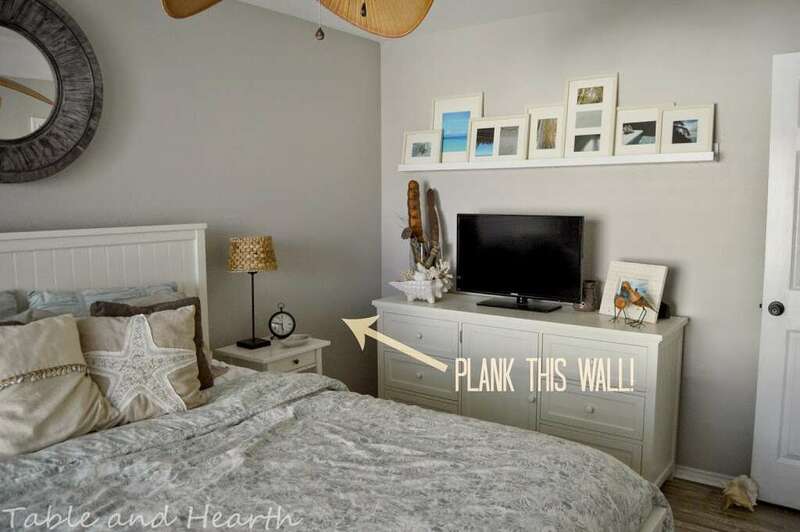 I’m loving the plank wall idea! I’ve always been a huge fan of tongue and groove knotty pine walls! 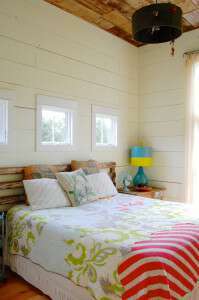 I just completed a remodel of an old screen porch into a 4 seasons room, walls and ceiling in knotty pine. Love it!!! Planked walls would be a much cheaper solution, easy installation while providing an awesome look! I think this would be an great idea for the new guest room…. maybe the whole garage even!! Planked walls all the way around! Too cool! !